Most self-proclaimed psychics use only their claimed sixth sense when trying to predict the affairs of the future. 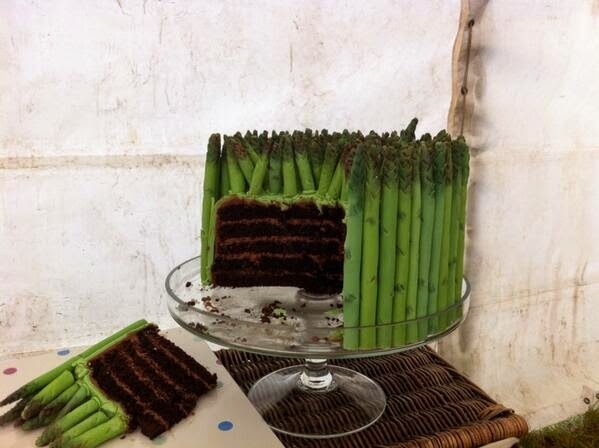 And then there's Jemima Packington of Somerset, England who makes use of something else - asparagus. The Somerset lady markets herself as the "world's only Asparamancer". Her claim to fame is her bold belief that she can make very accurate predictions using asparagus. Packington, who is nearing 60 years old, would toss the green asparagus spears into the air, watch them hit the ground, and then predict what will happen in the future merely by interpreting the locations of the asparagus - how and where they landed. Apparently, she's been doing her shtick for quite some time now. A quick search on Google would bring up results that can date back as far as the year 2008. Here's one story from said year by the BBC News. She's gaining quite a good amount of attention this month because it's the start of a new year and this is the best time of the year when psychics, astrologers, and their ilk peddle their stuff. Packington has several predictions for the year 2015. Here's a few: oil prices will rise, there will be turmoil in the European Union, professional football will encounter a lot of scandals, and members of the Royal Family will be embroiled in controversies. See more of Packington's predictions here. Image credit: Jemima Packington via Twitter.